Between 1990 and 2010, Mexico lost 5.5 million hectares (or 7.8 percent) of its forest cover (FAO 2010). Deforestation is largely driven by the conversion of forests to croplands or pasture. In response, Mexico’s National Forestry Commission (CONAFOR) introduced its first program of payments for ecosystem services (PES) in 2003. The program encourages forest conservation by making payments to owners of ecologically valuable land. 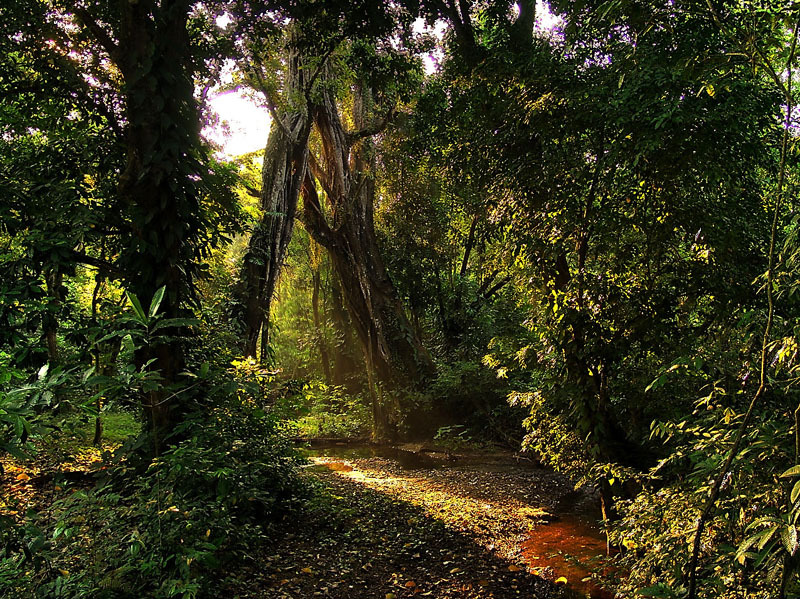 The program has grown substantially since its inception, encompassing 2.5 million hectares of forests as of the end of 2013, making it by far the largest PES program in Latin America. This activity is the first attempt at applying rigorous evaluation methods to a large-scale PES program, to extract valuable lessons learned for similar programs elsewhere. Mexico is planning to make PES a central tool in its strategy for implementing REDD+ and other carbon funds, so a better understanding of the impact of the current program on deforestation is critical. Whether households and communities are willing to accept contracts with different payment levels. The methods and surveys developed under this study should benefit policy makers who conduct other impact evaluations of PES and develop forest management interventions. The study found causal evidence of program effectiveness for this large-scale, government-run program. Looking at an index of community land management activities, communities involved in the program increased their participation by over 50%, protecting land cover by patrolling for illegal conversion, building fire breaks, or combatting soil erosion. Compared to control households, participant households spent approximately 2.7 days more per year in land management activities. Estimated impacts were small and not statistically significant for changes in average household assets, housing stock, food consumption, and primary education. However, they there was a statistically significant increase of 20-25% in community infrastructure, and a substantive 30-40% increase in school attendance by 16-18-year-olds. The program’s conditional payments have maintained or made modest improvements in pro-social work effort and measures of social capital at the communal and household level, including measures of institutions, attitudes and participation in community governance. Across all cohorts, the study finds a significant increase of approximately 8% in an index of community social capital, compared to controls. Additional time spent in land management activities does not crowd out other community work by households. Household-level measures of trust and participation are not changed by the program. Due to data limitations and the overall low rates of forest cover change during the study period, it was difficult to detect anything except a 100% impact by the program. Drawing on the only published data source with annual variation, the analysis suggests that the program has likely reduced the rate of tree cover loss. Within areas at high risk of deforestation, the program reduced the loss of tree cover by approximately 40%. Larger reductions of land cover change were observed in the Yucatan peninsula. Although imprecise, estimates of the percentage change in loss rates are similar in magnitude to prior studies, which found changes between 20-50% depending on the method used. This study illustrated that an impact evaluation based on causal analysis is possible, and most importantly, research can be done for large-scale government-run programs. With the expansion of climate change initiatives, it is key to support impact evaluation work, especially for a subset of programs that are likely to be replicated or scaled up across different countries.